Whisk the garlic, chili paste, 2 tablespoons lime juice, the sugar and 1/2 teaspoon salt in a large bowl. Slowly whisk in 1/4 cup oil to make a dressing; add the cabbage, radishes and cilantro and toss. Mix the sour cream and the remaining 2 tablespoons lime juice in another bowl; season with salt and pepper. 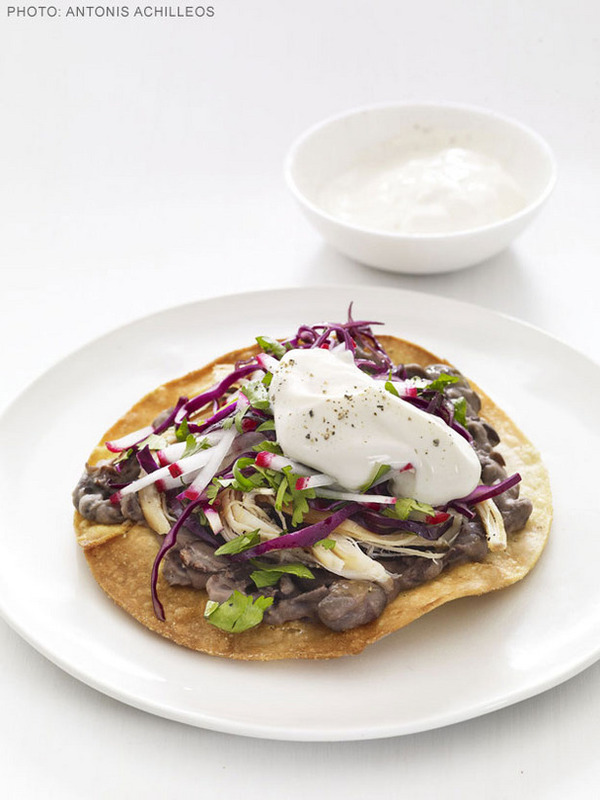 Top each tortilla with beans, chicken, cabbage salad and sour cream.